Russian lawmakers have approved the first reading of a bill that imposes large fines on media outlets over the use of foul language - even for citing obscene quotes in classic literature. Under the amendments to the Code of Administrative Offenses, the media will be fined up to 200,000 roubles (US $6,600) for using obscenities. 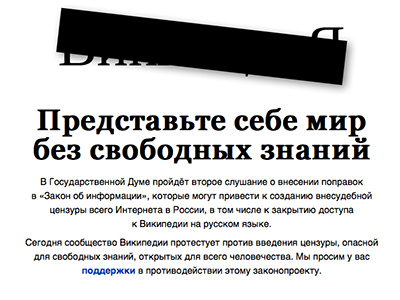 The document, initiated by the majority United Russia party, was supported by 390 out of 450 State Duma deputies. According to the lawmakers, people often complain about the bad language used on television and radio, as well as in newspapers. At the moment, only swearing in public places is considered an administrative offense and punishable with a fine. In the event that obscene comments are made by participants in live radio programs, the stations are obliged to report such behavior to the proper officials. 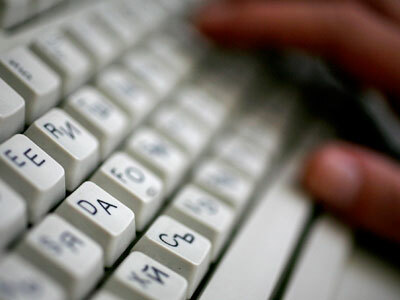 Normally, before permitted to participate in radio broadcasts, contributors leave their personal contact information with the radio station. Thus, identifying violators of the law would not be a problem, according to Deputy Duma speaker Sergey Zheleznyak. 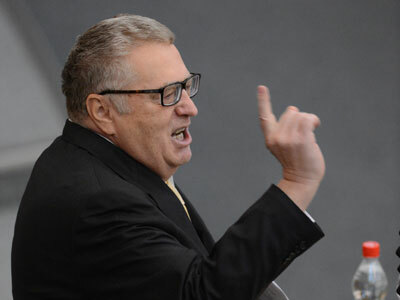 Zhirinovsky believes that lawmakers should go even further than banning obscene language and outlaw the usage of foreign words as well whenever they can be replaced by Russian synonyms. Meanwhile, Russian journalists oppose the new legislation, saying it is a waste of time and money. Rafael Akopov, the former head of the ProfMedia group, compared the imposition of fines for bad language to punishing individuals for wearing mini-skirts. Duma legislators, however, argued that broadcasters have failed to control the language issue on their own. “It’d be great if the media – thanks to their inner culture and self-control – could reject obscene language,” but in reality people are bombarded with such language on a regular basis in newspapers or on the television, concluded top Duma official Sergey Zheleznyak.